Store bought dog treats are often really expensive, so check out making these DIY Dog Treats as a fun & healthy alternative. I don’t know about you, but I love to spoil my dog, so we have a routine where I give him a midday treat on the days that I’m working out of my home office. And my dog loves this ritual so much, that if I forget to give him his treat on time, he never fails to remind me with a hard nose bump on my leg or a leap straight into the air that says “Hey, you’re late, where’s my treat!!”. So recently I’ve gotten a little bored with manufactured pet treats and that set me on the path to research some sources for making DIY Dog Treats. 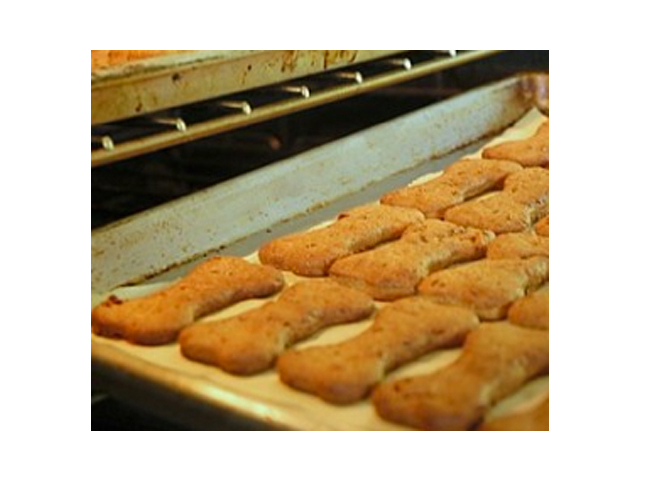 The cool thing about these dog treats, is that they’ll not only save you money, but you’ll know exactly what ingredients your dog is ingesting and the project of making them can also be a fun kid’s activity. 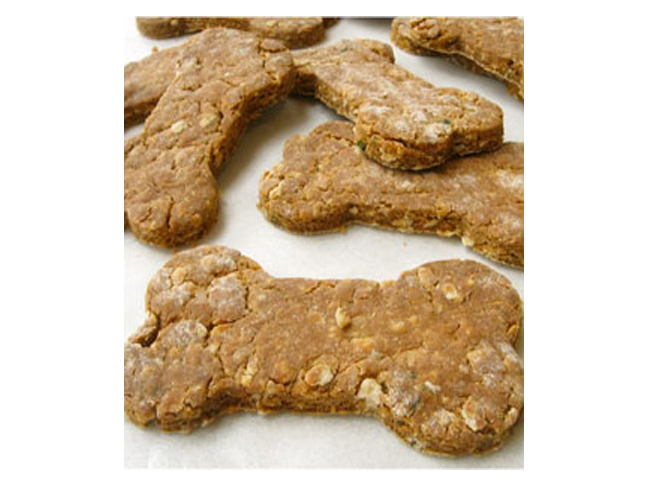 These Best of Breed Dog Biscuits are made with whole wheat flour, peanut butter, oats and a dash or parsley to sweeten fido’s breath. 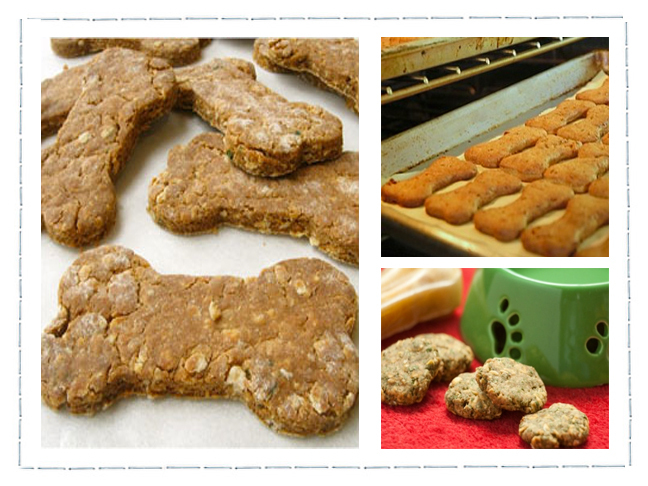 They’re super easy to make and countless reviewers rave that their dogs absolutely love them. 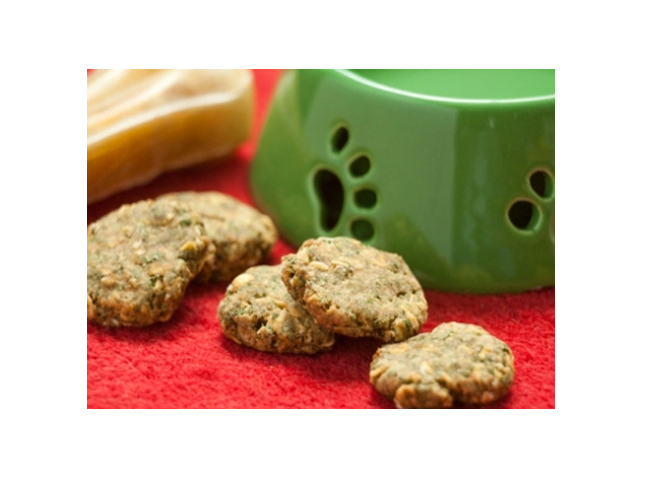 And if you’re familiar with the health benefits of flax seed, check out this recipe for Homemade Flax Seed Dog Biscuits. Rumor has it they’re so yummy, you will be tempted to chew on a few yourself, and that’s okay, but just remember to save some for your pooch too. Or if you know your pup has a stomach that is sensitive to gluten, these Homemade Peanut Butter and Banana Dog Treats will be a winner because it’s a Gluten Free Recipe. And once you get really pro at making these homemade dog treats, they’re a perfect gift idea to give to all of the pet lover’s in your life. Please Note: It is essential seek the advice of your own Veterinarian before feeding your pet any homemade foods in order to avoid feeding any ingredients which may be toxic to pets or that your particular pet may be allergic to.